The opposition People's Progressive Party has been firing off at the government over complaints from sugar workers that their request for increases is being ignored. The party has also taken the government to task for not doing enough to find markets for rice farmers, although the rice industry is fully a private enterprise. Opposition Chief Whip in Parliament, Gail Teixeira believes that the APNU+AFC administration has exacerbated the problems facing the local sugar and rice industry by its response, which she believes may be adequate. The opposition People’s Progressive Party has been firing off at the government over complaints from sugar workers that their request for increases is being ignored. The party has also taken the government to task for not doing enough to find markets for rice farmers, although the rice industry is fully a private enterprise. At a Wednesday morning press conference at the PPP Freedom House headquarters, Ms. Teixeira brushed aside suggestion that the problems in the rice and sugar sectors are being made political by her party. She described the government as being discriminatory in its response to the issues facing the two leading agricultural industries. “It’s not a question of whether we are causing trouble, but on the issue of rice and sugar, they have exacerbated the situation of sugar and rice, particularly on their actions on rice, particularly they are acting very stupid”, Teixeira declared. Agriculture Minister Noel Holder earlier this week reassured that several countries are lining up to purchase rice from Guyana, as rice farmers pressure the Guyana Rice Development Board to secure markets following the fallout with Venezuela. PPP Member of Parliament and Spokesman on Agriculture matters, Dharamkumar Seeraj is not buying the assurances coming from Holder. He said if it is true that countries are lining up to buy rice form Guyana, then farmers should not be complaining. He also said that any such lines would be for “cheap rice” since he believes that Guyana is now selling its rice cheaply on the international market and therefore that could have an impact on earnings. 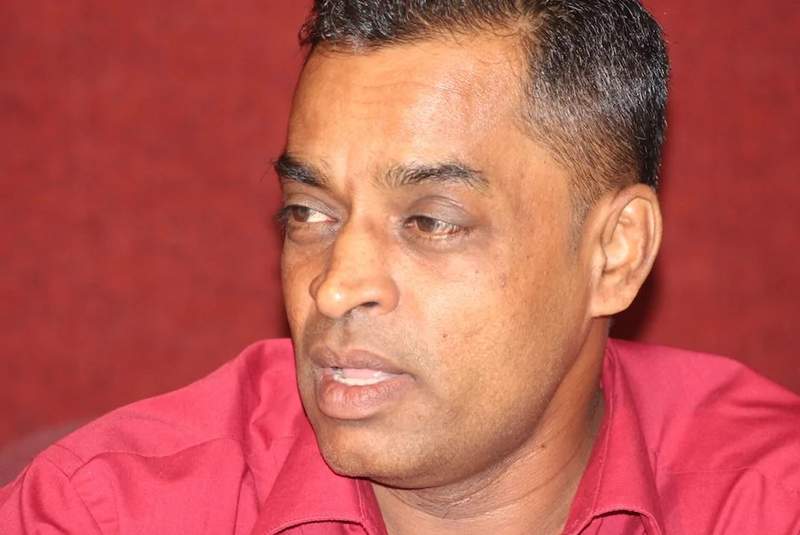 Seeraj who is also the General Secretary of the Rice Producers Association, said it is the APNU+AFC government that created expectations for farmers during the elections campaign. He said it is now time for them to deliver. He said the marketing campaign ought to be much more aggressive and rice farmers should also be given some of the same tax breaks and assistance that the government has offered to the mining industry. The Member of Parliament who has worked for decades in the rice industry said the government needs to separate economic issues from political issues when addressing the rice and sugar problems facing Guyana. He said the rice industry today appears to be in a “chaotic” manner and the administration must address the concerns and take recommendations on board. The rice industry has been a steady top foreign exchange earner for Guyana and production and exports have been rising consistently over the past years. This year, farmers worry that the loss of the Venezuelan market could spell difficult times ahead for them.